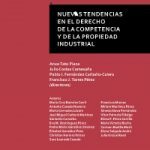 propiedad industrial | Derecho Mercantil. (DerMerUle). Estás navegando por el archivo de propiedad industrial. Lesson 4. International Business Law (International Trade Degree-ULE). Lesson 4 (1). Notes for non jurists. Introduction. In this topic we address the legal regime of varied types of intangible goods, and rights that have them as their object: Industrial and Intellectual Property Rights that protect certain creations of the human mind: inventions, literary works, and symbols, etc. Such rights are the object of national recognition and protection, although they are frequently exploited and exchanged internationally. The exchange and traffic of intangible goods and rights has increased with the new technologies. IP Rights are exceptions to the freedom of the market, since they recognize areas of “monopoly”. At national level: as they are territorial rights, for example in the Spanish Trademark Law, The Spanish Patent Law. At international level: The international regulation of these rights has contributed to the approximation or even unification of the content of these rights. Territoriality. – These rights are territorial in nature. Their protection is limited to the territory, or territories of the State or States where they are recognized or granted. o Example: There are as many copyrights, or as many industrial property rights, as States recognize them. This rule is qualified when there are International Treaties. Independence.- Each State is free to establish the protection regime it deems most appropriate, regardless of the protection recognized by other States. o Example: each State may have different requirements and content for copyright. This rule is qualified when there are International Treaties. Limited temporal duration. Industrial and Intellectual Property Rights (IPR-PI) are recognized for a limited time, after which they become part of the “public domain”. The rule protection of Industrial and Intellectual Property Goods and Rights is a direct consequence of territoriality. National legislations grant protection with general character (in Spain the Art 10.4 Civil Code) and also by means of specific laws such as Patent Law, Trademark Law, Copyrights Law. Traditional International Private Law, “conflict” criteria are used to determine the law applicable to the protection of IPR-PI (and to determine tthe competent Court to judge over them when there is a cross border element). Such “conflict criteria” are found in National Legislation and also in some International Treaties. .
International and European Treaties and Norms also regulate this matter. Some International Treaties to determine the law applicable (“conflict regulations in International Treaties”). It is generally accepted that at the international level, the most appropriate protection “conflict” criterion is the application of the law of the country for which protection is sought (lex loci protectionis): a right can only be protected where it is recognized. This principle is recognized, for example, at the global level for contractual and non-contractual (copyright) relations by the Berne Convention of 1886 (The Berne Convention contains “conflict rules” and some “material rues” as well. Also (in Europe) for non-contractual relations by Commission Regulation 846/2007, known as the Rome II Regulation which is a “conflict Regulation” and states that “The law applicable to a non-contractual obligation arising out of an infringement of an intellectual property right shall be the law of the country for whose territory protection is claimed”. In accordance with the those Treaties and Regulation, the lex loci protectionis governs: the creation of the right, the content of the right, its extinction, its duration, the conditions for protection, ownership, transfer, rights over them, etc. ; as well as the conditions that must be met for the right to be considered infringed. Principle of National Treatment: the Contracting States must grant the nationals of the other member countries of the Convention the same protection as their own nationals (Art. 2). Independence, qualified by “registration of trademarks as they are” (Art. 6, Paris Convention), the obtaining and maintenance of a trademark in a territory does not depend on the application, registration or renewal of the same trademark in its country of origin (such sentence reflects the principle of independence). However, Art. 6.5 of the same text allows the protection of the mark “as is” which allows the owner to register in all States the same distinctive sign in its formal aspect that is registered in its country of origin, without more. This protects owners and consumers by reducing the differences in the use of a trademark on the international market. Protection of well-known marks. Article 6bis of the Paris Convention obliges member countries to refuse or cancel the registration and to prohibit the use of a mark capable of creating confusion with another well-known mark in that member country. Notoriety is protected, even if not registered, to avoid unfair advantage. PLEASE NOTE THAT: Following the conclusion of the ADPIC/ TRIPS Agreement (Extended GATT/Uruguay Round), the provisions of the Paris Treaty are integrated into the enlarged GATT and the number of countries to which the principles of the “Paris Union” apply is increased. Rome Convention for the Protection of Performers, Producers of and Broadcasting Organizations of 1961. It deals with Intellectual Property (neigbouring rights). It establishes: Lex loci protectionis (as a conflict rule), but also it contains harmonizing and/or unifying norms such as the Principle of National Treatment, and minimum contents of the the neighbouring rights within its scope. A third group of International Treaties have a procedural nature, and their relevance lies in the fact that they centralize the registration of rights. Their objective is to facilitate the possibility of registering a right in several countries simultaneously. Industrial and Intellectual property rights were the focus of attention in the GATT Uruguay Round, thus concluding the TRIPS Agreement (ADPIC in Spanish). Its addressees are the Member States of the WTO. It has a mechanism for conflict resolution and allows for sanctions for States that fail to comply with this TRIPS Agreement. TRIPS incorporates provisions of other Treaties and also some new ones. It compels signatories States to assume the main material rules of the Paris Conventions for the protection of industrial property and Bern conventions for the protection of literary and artistic works that ar, thus, applicable to all WTO countries. It extends the minimum rights for example in well-known trademarks (according to Paris Union). Introduces the obligation to protect computer programs and databases through copyright law -art 10-. It introduced provisions for greater IPR-IP protection known as “TRIPS PLUS” in the negotiation of bilateral trade agreements between USA/Europe with less developed countries, in order to advance the international protection of these rights. In addition, the US and Europe lead a group of states that concluded in 2010 the ACTA Treaty (Anti-Counterfeiting Trade Agreement) on combating counterfeiting and piracy for further strengthening IPRs. Its compatibility with Fundamental Rights and Personal Data has been criticized and questioned. INTERNATIONAL INTELLECTUAL PROPERTY ORGANIZATION . WIPO is a specialized agency of the United Nations which administers the Berne Convention for the Protection of Literary and Artistic Works of 1886 and the Paris Convention for the Protection of Industrial Property of 1883. It also administers the Rome Convention (jointly with ILO and UNESCO) on the Protection of Performers, Producers of Phonograms and Broadcasting Organizations (1961). WORLD TRADE ORGANIZATION. The WTO was established in 1995. It is based in Geneva. Its official languages are English, French and Spanish. It is not part of the United Nations system. EUROPEAN PATENT OFFICE. The EPO, based in Munich, was created by the Munich Convention of 1973. It manages the European Patent and currently the Unified Patent. EUIPO The Office for Harmonisation in the Internal Market, created in 1994, it is a specialised body of the EU. It manages the EU Trade Mark and EU Design. Its headquaters are based in Alicante (Spain). Unification of certain rights, through the creation of new independent figures. The EU, in order to overcome the principle of territoriality and its negative effect on Community freedoms, it has opted (where possible) to create EU IP Titles, ie: European Trade Mark, European Design. Specific arrangements are made for a Unified Patent System (Spain does not participate in the Unified EU Patent System). Harmonisation. By means of Industrial Property Directives (particularly trademarks and intellectual property). Also to note is the Principle of “Community exhaustion” (agotamiento comunitario). This is a way of preventing the principle of territoriality from hindering the free movement of goods. The ECJ has long developed the doctrine of so-called “Community exhaustion” whereby the holder of an industrial or intellectual property right cannot be allowed to oppose the importation of products lawfully marketed in another Member State by the holder or with his consent. The judgments of the ECJ Deutsche Grammophon (C-78/70 of 1974); Centrafarm (C-15/74 of 1974); Silhouette (C-355/96 of 1998) and Davidoff (C-414/99 of 2001) stand out in this field. This case law principle has been enshrined in national legislations. 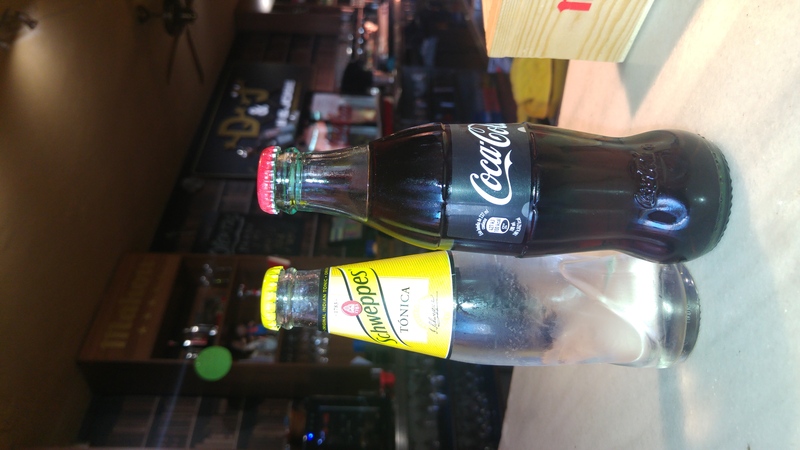 ¿PUEDE SCHWEPPES S.A. OPONERSE A LA IMPORTACIÓN O A LA COMERCIALIZACIÓN EN ESPAÑA DE BOTELLAS DE TÓNICA SCHWEPPES PROCEDENTES DEL REINO UNIDO, DONDE ESTA MARCA PERTENECE A COCA-COLA? Cafetería Dani y Jose. Campus Universitario de León. By M.A. Díaz. En estas Conclusiones formuladas por el Abogado General se realiza un interesante repaso de la jurisprudencia más relevante del Tribunal de Justicia de la Unión Europea (TJUE) en la temática objeto de las cuestiones prejudiciales. Así Mengozzi recuerda el enfoque que el TJUE ha realizado del agotamiento del derecho conferido por la marca que puede resultar de interés en el caso de fragmentación voluntaria de derechos paralelos con un mismo origen surgidos en varios Estados del Espacio Económico Europeo (EEE). En relación con esta materia, se detiene, con argumentación detallada, en el análisis de la cuestión del equilibrio entre el derecho de marca y la libre circulación de mercancías. El Abogado General aborda estos extremos, al formular la respuesta a la Petición de decisión prejudicial planteada por el Juzgado de lo Mercantil n.º 8 de Barcelona, en el marco de un litigio entre, de una parte, “Schweppes, S.A.”, sociedad española, y, de otra, “Red Paralela, S.L.”, y “Red Paralela BCN, S.L.” (en adelante “sociedades Red Paralela”). Este litigio se suscita con motivo de la importación en España por “sociedades Red Paralela”) de botellas de tónica procedentes del Reino Unido que se designan con la marca “SCHWEPPES”. El signo “Schweppes”, en Europa, está registrado como una serie de marcas nacionales, idénticas o prácticamente idénticas, en todos los Estados miembros del EEE. Durante mucho tiempo “Cadbury Schweppes” fue titular única de estos diferentes registros. En 1999, se produjo la fragmentación de la marca en el territorio del EEE, al ceder al grupo “The Coca-Cola Company” (en adelante, “Coca-Cola”) los derechos relativos a las marcas “SCHWEPPES” en trece Estados miembros del EEE, conservando la titularidad de estos derechos en los otros dieciocho Estados. En 2009, “Cadbury Schweppes”, pasó a ser “Orangina Schweppes Group”. La titular de las marcas “SCHWEPPES” registradas en España es “Schweppes International Ltd”, filial inglesa de “Orangina Schweppes Holding BV”. “Schweppes”, filial española de “Orangina Schweppes Holding”, es titular de una licencia exclusiva para la explotación de estas marcas en España. 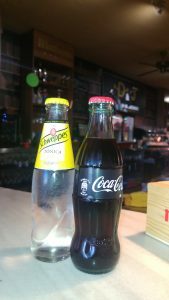 El 29 de mayo de 2014, “Schweppes” presentó una demanda por infracción del derecho de marca contra las “sociedades Red Paralela” por importar y comercializar en España botellas de tónica designadas con la marca “SCHWEPPES” procedentes del Reino Unido. “Schweppes” considera que estos actos son ilícitos, habida cuenta que dichas botellas de tónica no han sido fabricadas y comercializadas por ella misma o con su consentimiento, sino por “Coca-Cola”, que no tiene vínculo alguno con el grupo “Orangina Schweppes”. En la misma línea, argumenta que, dada la identidad de los signos y de los productos en cuestión, el consumidor no será capaz de distinguir la procedencia empresarial de aquellas botellas. Frente a esta demanda por infracción del derecho de marca las “sociedades Red Paralela” se defienden invocando fundamentalmente, por un lado, el agotamiento del derecho de marca por consentimiento tácito, respecto a los productos que llevan la marca “SCHWEPPES” que provienen de Estados miembros de la Unión Europea en los que “Coca-Cola” es titular de la marca. Además, por otro lado, aducen que es innegable que existen vínculos jurídicos y económicos entre “Coca-Cola” y “Schweppes International” en la explotación común del signo “Schweppes” como marca universal. «1) ¿Es compatible con el artículo 36 del Tratado de Funcionamiento de la Unión Europea y con el artículo 7.1 de la Directiva 2008/95/CE y [el] artículo 15.1 de la Directiva (UE) 2015/2436 que el titular de una marca en uno o más Estados miembros impida la importación paralela o comercialización de productos, con marca idéntica o prácticamente idéntica, titularidad de un tercero, procedentes de otro Estado miembro, cuando dicho titular ha potenciado una imagen de marca global y asociada al Estado miembro de donde proceden los productos que pretende prohibir? 2) ¿Es compatible con el artículo 36 del Tratado de Funcionamiento de la Unión Europea y con el artículo 7.1 de la Directiva 2008/95/CE y [el] artículo 15.1 de la Directiva (UE) 2015/2436 una venta de producto con marca, siendo ésta notoria, dentro de la UE manteniendo los titulares registrales una imagen global de marca en todo el EEE que genere confusión en el consumidor medio sobre el origen empresarial del producto? 3) ¿Es compatible con el artículo 36 del Tratado de Funcionamiento de la Unión Europea, con el artículo 7.1 de la Directiva 2008/95/CE y [el] artículo 15.1 de la Directiva (UE) 2015/2436 que el titular de marcas nacionales idénticas o similares en distintos Estados miembros se oponga a la importación a un Estado miembro donde es titular de la marca, de productos, identificados con una marca idéntica o similar a la suya, procedentes de un Estado miembro en el que no es titular, cuando al menos en otro Estado miembro donde es titular de la marca ha consentido, expresa o tácitamente, la importación de esos mismos productos? A través de estas cuestiones prejudiciales, el Juzgado remitente trata de conocer, si la normativa europea mencionada se opone, en el contexto mencionado, a que el licenciatario del titular de una marca nacional invoque su derecho de exclusiva conferido por la normativa del Estado en el que la marca está registrada para oponerse a la importación o comercialización en dicho Estado miembro de productos designados con una marca idéntica y procedentes de otro Estado miembro, donde dicha marca, que antes era propiedad del grupo del que forman parte tanto el titular de la marca en el Estado de importación como su licenciatario, es ahora titularidad de un tercero que adquirió los derechos por cesión. En sus conclusiones, de forma bien documentada, el Abogado General, Sr. Mengozzi, recuerda que el Tribunal de Justicia viene señalando que el principio del agotamiento del derecho conferido por la marca “opera cuando el titular de la marca en el Estado de importación y el titular de la marca en el Estado de exportación son idénticos o cuando, incluso siendo personas distintas, están económicamente vinculados”. Para el Abogado General, partiendo de la jurisprudencia del Tribunal de Justicia, lo que importa no es tanto la naturaleza de las relaciones entre ambas entidades, sino la circunstancia de que, debido a tales relaciones, la marca se encuentra bajo control único. 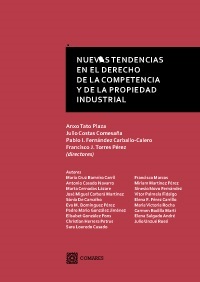 En opinión del Abogado General este criterio puede comprender no sólo los supuestos mencionados por el Tribunal de Justicia, de que el uso de la marca está bajo el control de una sola persona (cedente de la licencia o fabricante) o de una entidad que constituye una unidad económica, sino también los casos en que el uso de la marca esté sometido al control conjunto de dos personas distintas ―cada una titular de los respectivos derechos reconocidos a nivel nacional― que al explotar la marca actúan como un único centro de intereses. Además, el Abogado General manifiesta que, a efectos de la aplicación del principio del agotamiento del derecho de marca, los titulares de marcas paralelas surgidas de la fragmentación de una marca única pueden considerarse “vinculados económicamente” cuando coordinan sus políticas comerciales al objeto de ejercer un control conjunto sobre el uso de sus marcas respectivas. Con todo, estima que para que se produzca el agotamiento del derecho se requiere que dicho control único sobre la marca proporcione a las entidades que lo ejercen la facultad de determinar directa o indirectamente los productos sobre los que se imprima la marca, así como de controlar su calidad. A propósito de la prueba de la posible coordinación entre los titulares de las marcas paralelas de la que pueda deducirse una unicidad de control, el Abogado General mantiene que la carga de la prueba recae, en principio, sobre el importador paralelo. Si bien el Abogado General considera excesivo solicitar al importador paralelo que aporte la prueba del control único, sí entiende que debe presentar un conjunto de indicios precisos y concordantes que permitan inferir la existencia de ese control. “…procede responder conjuntamente a las cuestiones prejudiciales planteadas por el juzgado remitente en el sentido de que el artículo 36 TFUE y el artículo 7, apartado 1, de la Directiva 2008/95 se oponen a que el licenciatario del titular de una marca nacional invoque el derecho exclusivo del que éste disfruta en virtud de la normativa del Estado miembro en el que dicha marca está registrada para oponerse a la importación o a la comercialización en dicho Estado de productos designados con una marca idéntica procedentes de otro Estado miembro, en el que esta marca, que era anteriormente propiedad del grupo al que pertenecen tanto el titular de la marca en el Estado de importación como su licenciatario, es titularidad de un tercero que ha adquirido los derechos por cesión, cuando, vistos los vínculos económicos existentes entre el titular de la marca en el Estado de importación y el titular de la marca en el Estado de exportación, resulta que estas marcas están bajo control único y que el titular de la marca en el Estado de importación tiene la facultad de determinar directa o indirectamente los productos sobre los que se estampa la marca en el Estado de exportación y de controlar su calidad”. Este es el parecer del Abogado General, expresado en las Conclusiones, que -como es sabido- no son vinculantes para Tribunal de Justicia. Al responder a las cuestiones prejudiciales el Abogado General se limita a proponer al Tribunal de Justicia, con absoluta independencia, una solución jurídica al asunto planteado. Habrá que esperar a que el Tribunal de Justicia, tras las oportunas deliberaciones, dicte Sentencia en la que se pronunciará sobre estas cuestiones. En cualquier caso, no ha de ignorarse que será el Juzgado el que deberá resolver el litigio de conformidad con la decisión del Tribunal de Justicia. Ello significa que será el juez nacional quien ha de determinar, considerando todas las circunstancias del caso y una vez aclarados los vínculos que unen a los titulares de las marcas paralelas (“Schweppes International” y “Coca-Cola”), si se ha producido el agotamiento del derecho de “Schweppes International” en relación con las botellas de tónica en cuestión. El texto íntegro de las Conclusiones del Abogado General puede verse aquí.